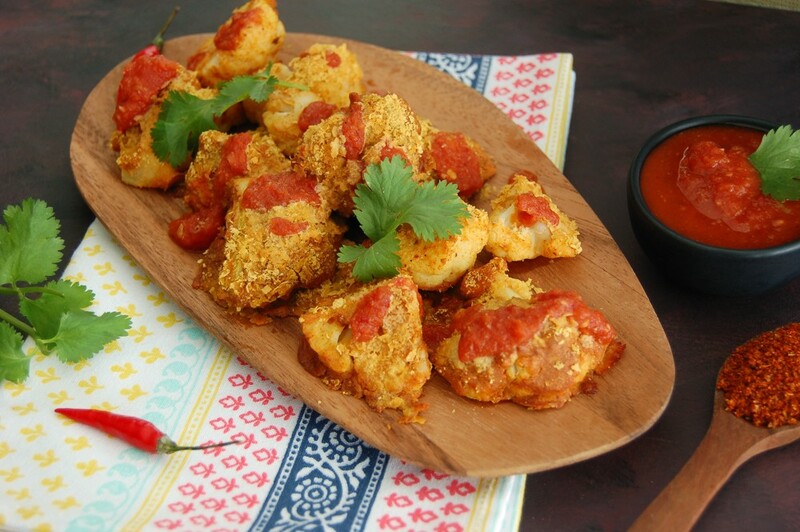 Here’s a #SuperBowlSunday snack with a Tikka Masala twist! If you’re wondering what the word “tikka” means, it is simply the term to refer to “small pieces” of typically chicken and sometimes lamb, but can also refer to small pieces of vegetables that is marinated in a yogurt based marinade with a chili spice mixture. 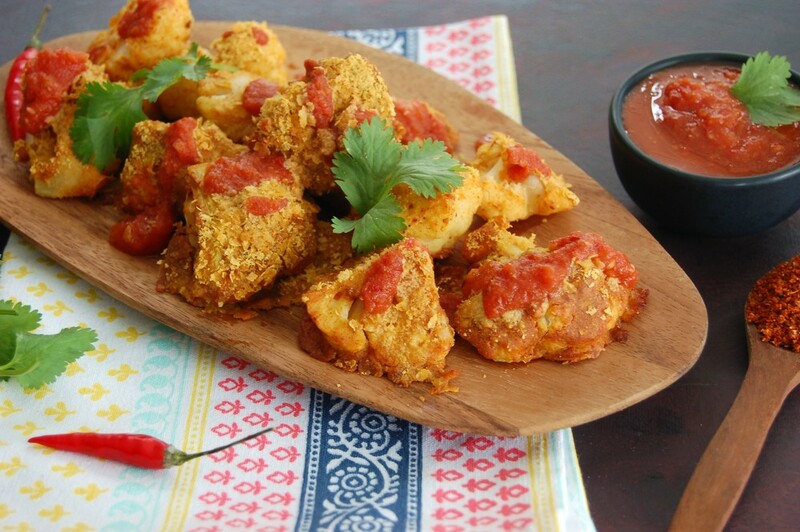 In this case, I made TIkka Cauliflower Bites served with Garam Masala Tomato Chutney, of course without the yogurt marinade as it really isn’t necessary for these delicious little bites. The end result is all full flavour, a chili bite with some heat that is substantial enough for any Super Bowl Sunday party table. 1) Boil cauliflower florets until cooked for about 5-7 minutes. Drain. 2) Preheat oven to 425F. 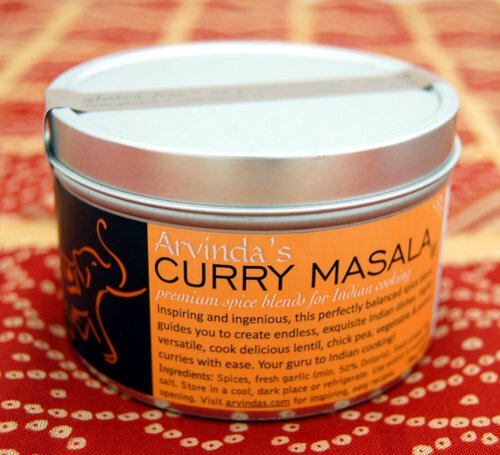 3) In a bowl, whisk together chick pea flour, rice flour, ARVINDA’S TIKKA MASALA and salt. Add water and mix well. 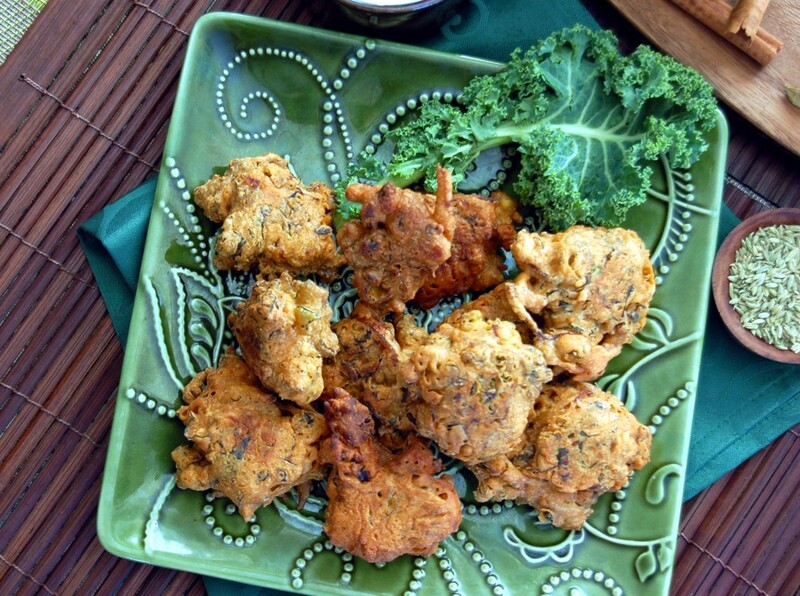 Coat cauliflower florets with batter. 4) Oil a baking sheet and place coated cauliflower on a single layer. Sprinkle with nutritional yeast. Bake for 20 minutes until crispy. Garnish with cilantro. 5) GARAM MASALA TOMATO CHUTNEY: Stir together ingredients together in a small bowl. Serve as a dipping sauce. This year we made most of our Christmas cookies gluten-free. We love them because they're light and crispy, and they've been a hit amongst all our guests so far. This season we doubled the batch, stored the dough in the freezer and baked these cookies as we needed them so they're always fresh and crispy on the day of serving them. If you haven't done your holiday baking as of yet, try making these Christmas Chai Snow Crescents which are easy, delicious and festive to cheer up any Christmas dessert table! 1) Line a baking sheet with parchment paper. Preheat oven to 325F. 2) In a large bowl, cream butter with sifted icing sugar. Add ARVINDA'S CHRISTMAS CHAI MASALA (or ARVINDA'S CHAI MASALA) and almond extract and mix. Sift in flour and mix. Fold in ground almonds. 3) Take a small ball of mixture and roll between palms of the hand to form a cresent. Continue with remaining mixture. 4) Bake for 15 minutes in the oven or until slightly golden brown. Cool on wire rack. To garnish cresents, dip into icing sugar to create a festive snow finish.